This photograph appears in Plate II of Mildred Anderson's Genesee Echoes. It shows children and Nuns from what was probably the German Roman Catholic Orphan Asylum in Buffalo New York. 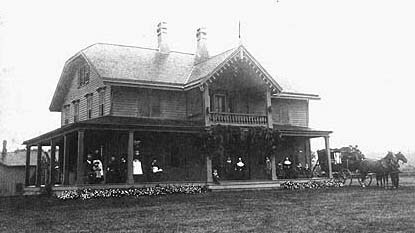 For almost two decades Mr. Letchworth invited needy children to stay at Prospect home. For more information and listing of sources, see Glimpse of Prospect Home and Chestnut Lawn.